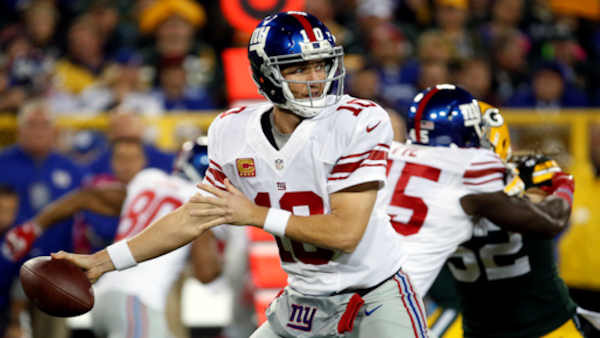 NEW YORK (WABC) -- Eli Manning and the New York Giants are dealing with a potential firestorm. A civil racketeering lawsuit filed in court in 2014 has resurfaced following emails obtained by the court showing Manning had tried to pass off team gear as "game worn." The court papers include emails sent by Manning in 2010 where he apparently asked for helmets that can be passed as "game used." All of these details came from the second amended complaint, which was filed in court this week. The original complaint was filed in 2014. Three memorabilia collectors have filed the suit against the Giants, Manning and others, including team co-owner and CEO John Mara. The trial is set for September 25th. "The email, taken out of context, was shared with the media by an unscrupulous memorabilia dealer and his counsel who for years has been seeking to leverage a big payday. The email predates any litigation, and there was no legal obligation to store it on the Giants server. Eli Mannis is well known for his integrity and this is just the latest misguided attempt to defame his character."